Really, there are few things in life more satisfying in life than a burger, fries and a beer. One good thing about burgers is they don’t have to be made out of ground beef to be delicious. You can make a burger out of anything! I’m not too interested in the idea of trying to “recreate” the taste of beef. But, I am interested in creating something super delicious and filling that I can stick in a a hamburger bun and dress up with some mustard and greens. 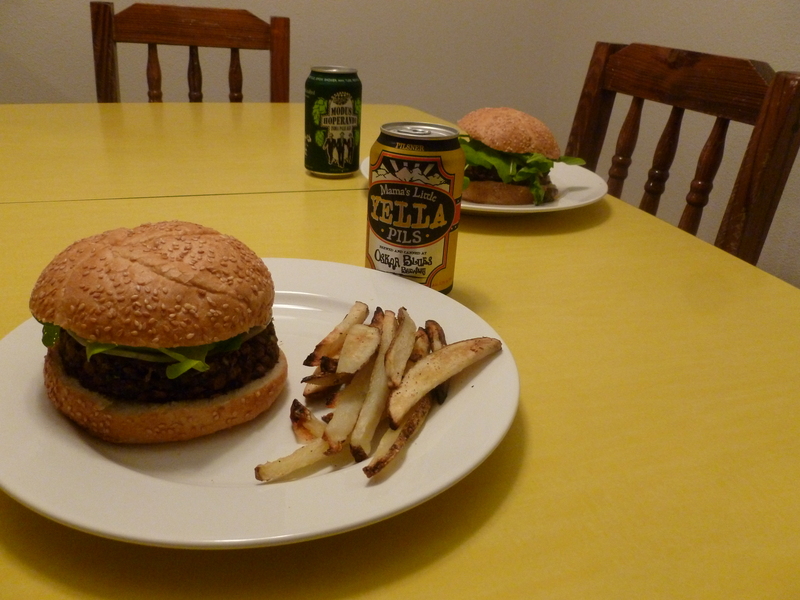 This recipe for veggie burgers was based on the recipe over here, from the Post Punk Kitchen. One nice thing about veggie burgers is that you can kind of throw in whatever you have, or whatever you think would taste good (which is what we did). 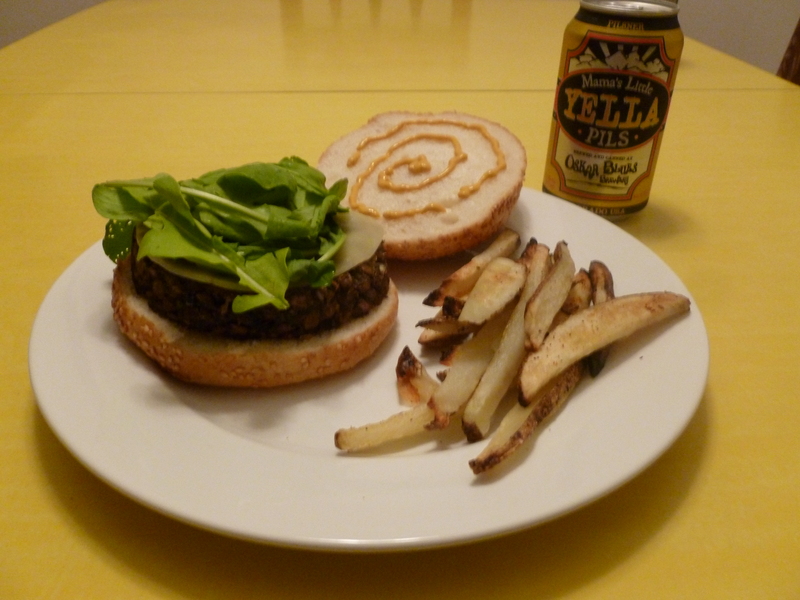 From the CSA, we used our garlic in the burgers, and some arugula as a topping. One neat tip we learned from Isa over at the PPK was using a round cookie cutter to form your burgers. It was pretty much revolutionary. Our burgers went from awkward-falling-apart-lumps to professional in seconds! 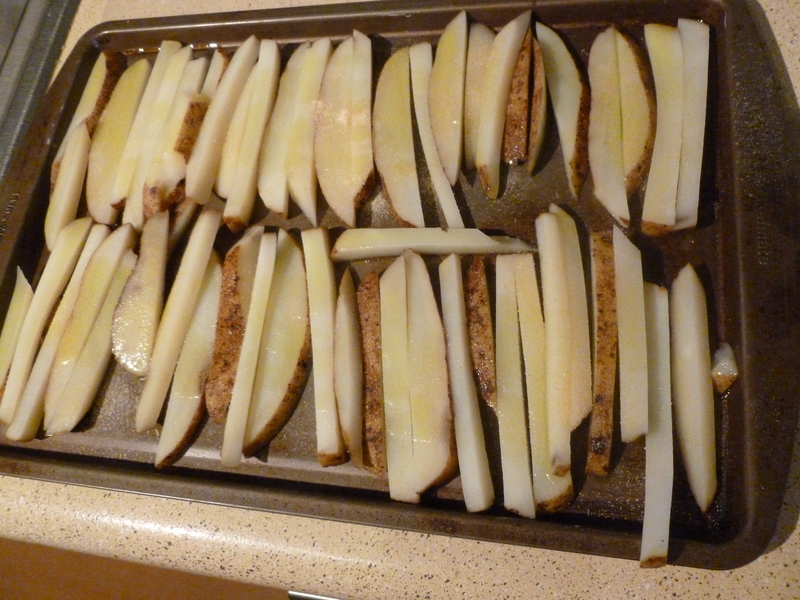 We also made us some garlic fries, based on Isa’s recipe for curry fries, also compliments of Post Punk Kitchen. We just subbed in garlic powder for curry powder. The cool thing about these fries is that they are actually not fries at all. No, they are actually baked! Not only is it healthier, it is waaaay less of a mess in the kitchen to just thrown everything on the baking sheet (vs frying everything and all the oil and oil splatters all over, etc). And finally, we completed the meal with some of our all-time favorite local brews. A Modus Hoperandi for Ryan, by Ska Brewery in Durango, CO. I had Longmont’s own Oskar Blues’ Mamma’s Lil’ Yella Pils. I actually work just a few blocks from Oskar Blues, which is pretty neat! Colorado has such awesome breweries! 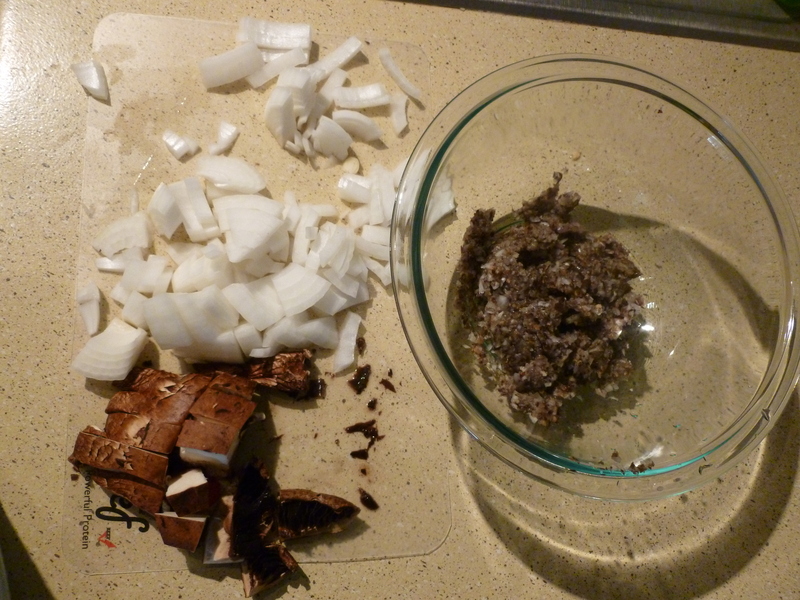 We food processed the garlic, onion and mushroom while we cooked the lentils. 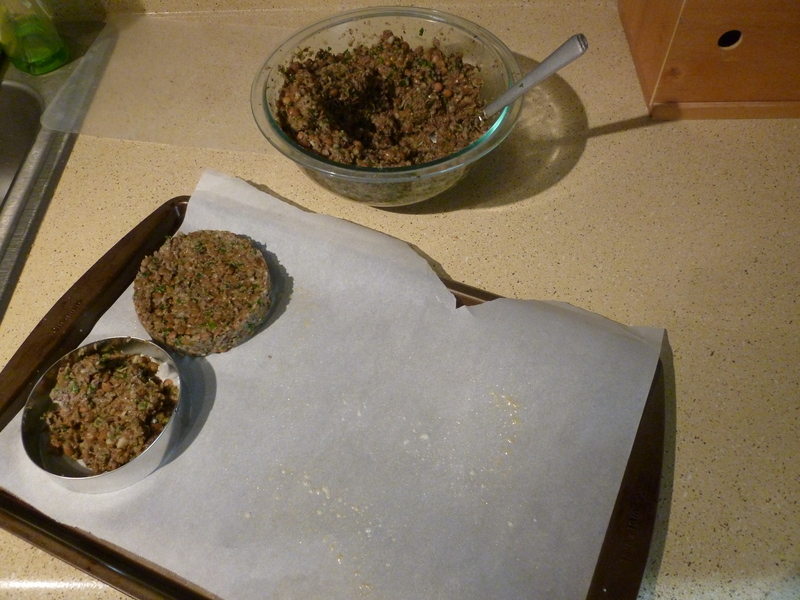 Then we mixed the thyme, soy sauce, egg, cooked lentils and mushroom mixture together ahd formed the burgers.